Life slows down when you head west. You start to pay attention to things that you may have long forgotten about or just never bothered to admire. 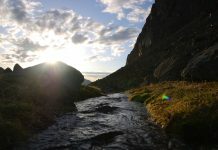 You notice the beauty in the rugged terrain; a personal connection to the dry, arid desert brings a smile to your face. The hues, colors, scents, and textures of the high desert brighten up your day. It grabs you by your heart, your ears, and your nose and screams “you are here!” and you either fall in love with it or you’re still not paying attention. Welcome to Davis Mountains State Park! Hit a trail, go on a mountain bike ride, read a book under a tree. 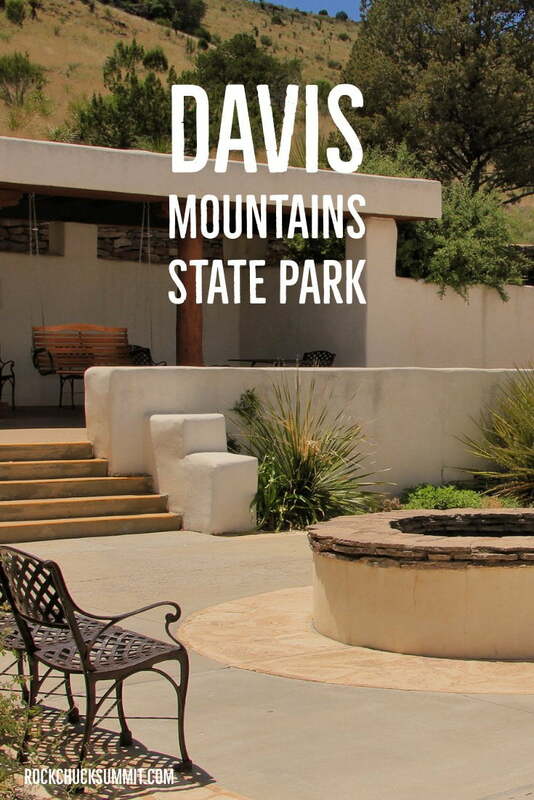 There is a lot to do in Davis Mountains State Park and within a short commute of the area. From the moment I arrived, I fell in love and was captivated by the history of the park – from its groomed trails to the unique lodge was that built by the CCC. I sometimes wish my generation and my kids’ generation had something like the CCC for them to experience America and provide services to the community such as building & enhancing our amazing parks. The CCC was created to help pull America up, and out of the great depression and from the hard work of the young men involved, Texas gets to enjoy the fruits of their labor with many of our state parks developed by CCC workers. Whatever you do, don’t miss the stars! Be sure to take time to enjoy beautiful sunsets, dark skies and some of the most amazing views of the cosmos you will ever see. This area is one of the darkest skies available in North America and is entirely worth the travel on its own! The colors of the setting sun are impossible to capture in a photo. I decided to leave these “As is” rather than doctor them up because they don’t need doctoring. One of the best reasons to stay out after these beautiful sunsets is to see the cosmos in all its glory with the milky way pouring across the entire night sky and more stars to gaze upon than modern man is used to these days. It’s easy for city dwellers to forget what the skies look like! My photography skills of the night sky are severely lacking, thanks to Robert for such a fantastic photo. 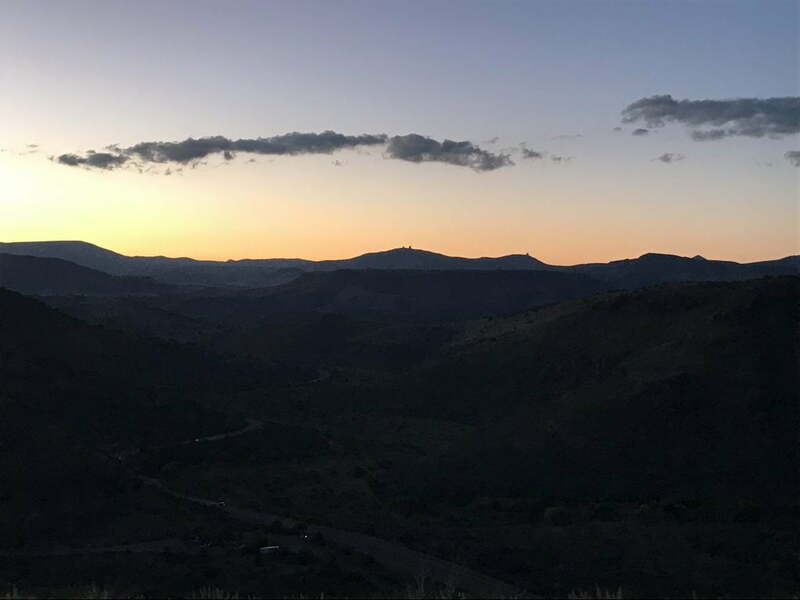 There is a ton of things to do in the Davis Mountains – From wildlife viewing to hiking to camping, trekking, exploring and of course touring the quaint little towns and cities nearby. 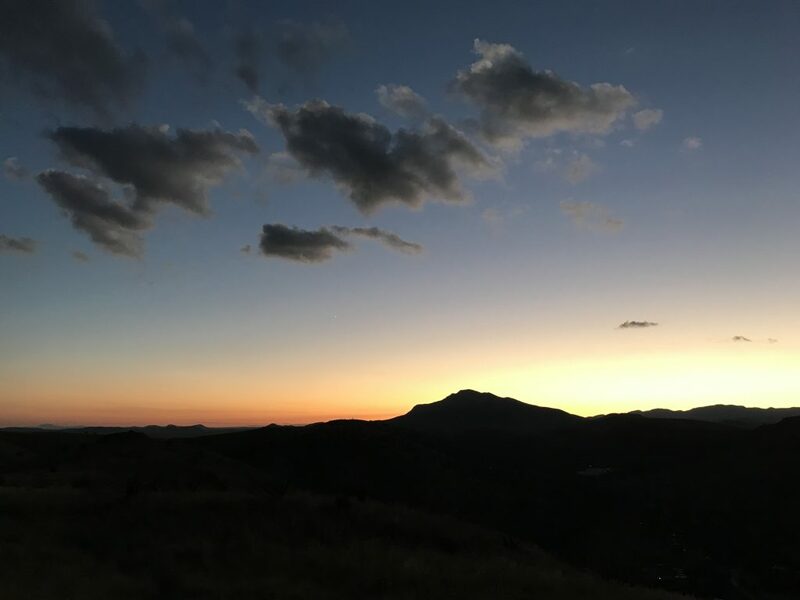 Check out some of these topics below to discover some cool things to do that should be on your travel bucket list for the Davis Mountains. 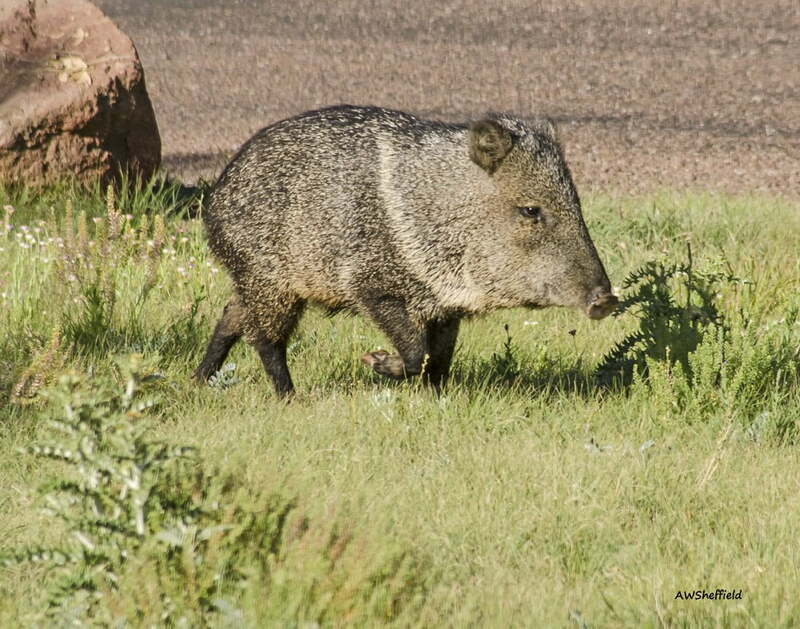 The area is known for everything from Mule Deer that stand nearly 7-8 feet tall to fuzzy tarantulas that scurry around in the evenings often hanging out in the warmth radiating from the gravelly roads, but the one animal that seems to steal the show out here are the Javelinas. Did you know the Javalena aren’t related to pigs? They’re a hoofed mammal of the family Tayassuidae. When we were at the park the mornings and evenings provided the best wildlife observing times. There are a few preserves within a short drive where you can see much of the wildlife that lives in the area. Davis state park offers abundant and well-kept hiking trails of varying lengths and difficulties. On the main park side (where you can or stay at the Inn), you can take one of the many scenic trails up to the car pass or zig-zagging on a mountainside heading to the Inn. If you want to experience longer trails or head out to the primitive campsites, you can check-in with the ranger station up front and get a gate code to go across the street and hike some of the longer trails. The trails are well marked and easy to follow. I hiked for miles and miles and never lost sight of where the trailhead was. Be sure to leave early, bring lots of water & snacks. Hiking poles are highly advisable because the terrain is often rocky, gravelly and varied. 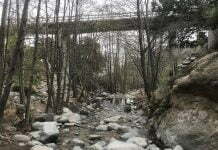 It does get scorching in the summers out here, so I would recommend visiting during the spring or fall months if you’re interested in lots of hiking or biking otherwise be prepared to learn early in the morning or later in the evenings. Winter is beautiful as well. However it can get chilly, and snow so be prepared and check the weather in advance of your arrival. We Tent camped in the park in September, and the weather was gorgeous for our time here. The evenings were cool and crisp and the days were pleasantly warm. Weather was cooler in the mountains than when we left our home in Austin. If you’re tent camping, be sure to bring a comfy camping pad, a warm sleeping bag and don’t forget to use your tent rainfly. Every morning when the dew settled if you didn’t have a rainfly your gear would be damp and chilly. The critters that live in the park fully know how to thrive with campers. Always secure your coolers and put away food and trash every night. We witnessed some skunks trying to remove bags hanging from trees so just tying up on a nearby branch isn’t the best way to secure any of your goods. Be sure to stay aware, wear shoes when you walk around and take basic precautionary measures and make sure your camping group is informed. It is gorgeous in the Davis Mountains and a fantastic place to camp. The park offers facilities for RVs and Tent Campers with sites having electricity and full-service hookups. Showers were warm, the bathrooms were clean, and the staff was friendly and helpful. I did think it was odd that some of the RV sites were much better than camping sites so you may want to explore the area before selecting a site from the map. The RV sites have covered tables, larger trees and the tent sites are generally open with some tree coverage. It would be nice if the Tent sites had covered tables as well. 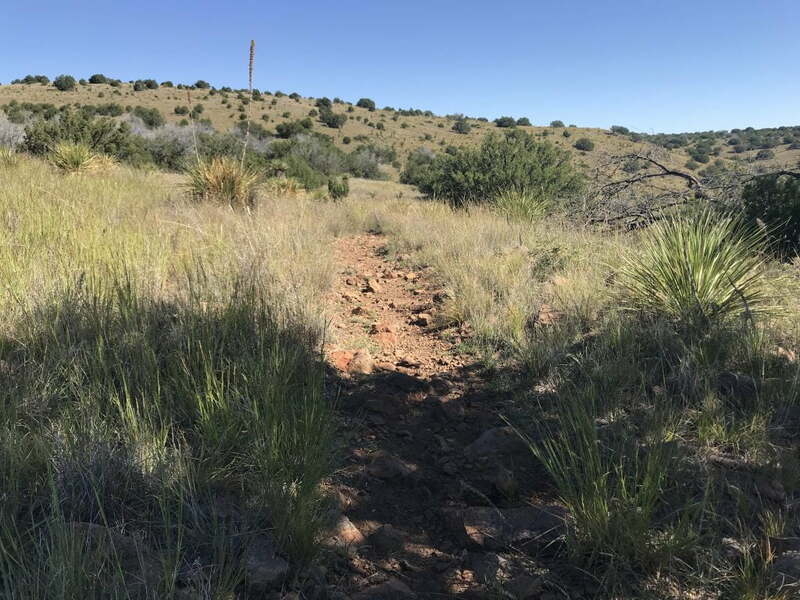 The lower CCC trail is set up as a mountain bike trail that connects all the way down to Fort Davis. Unfortunately, I didn’t have my mountain bike with me, so I don’t have any hands-on experience with the mountain bike trail. From what I saw on the hikes that run parallel and cross the CCC mountain bike trail it was packed dirt, gravel, rock and broader than the single track hiking trails but appears to offer a good amount of varying terrain and distance. It’s on my bucket list for the next visit to the area! Download this PDF copy of the trails map and start planning some of your biking or hiking trips. Davis Mountain State Park Indian Lodge is a hotel right on the state park. 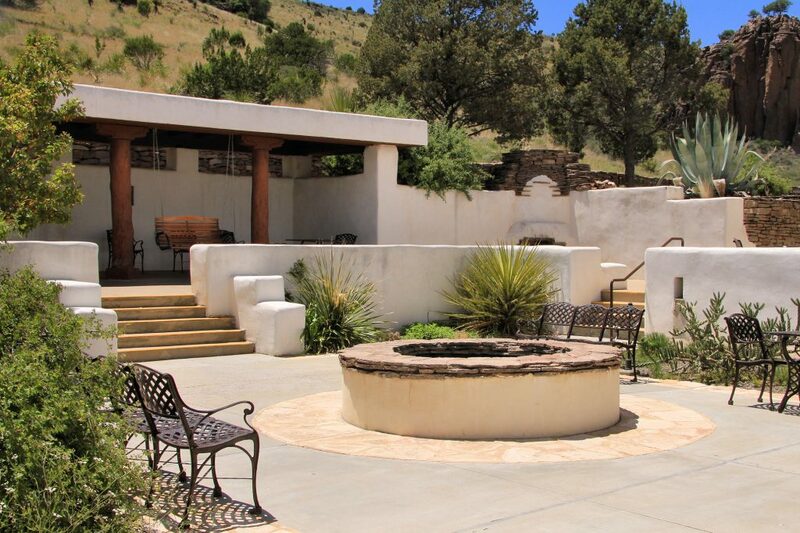 Built from Adobe by the CCC and recently remodeled the Indian Lodge hotel offers a charming way to enjoy the alpine desert. You can reserve Indian Lodge rooms through the Texas Parks Reservation page. Be sure to plan as far in advance as possible since the 39 rooms tend to book quick. There is a store in the lodge as well for supplies that campers may need as well since there is no other close by shops for those necessities – you know, the smores graham crackers and marshmallows. 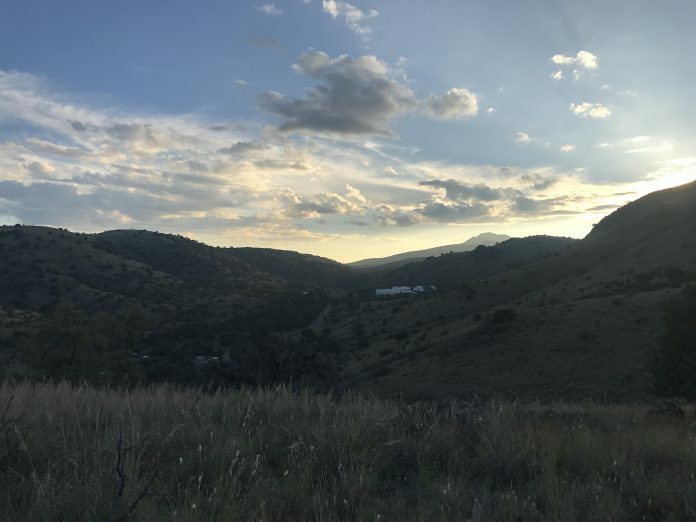 If you love the outdoors, bird watching, astronomy, hiking, biking, and wildlife Davis Mountains State Park and surrounding areas are sure to please! 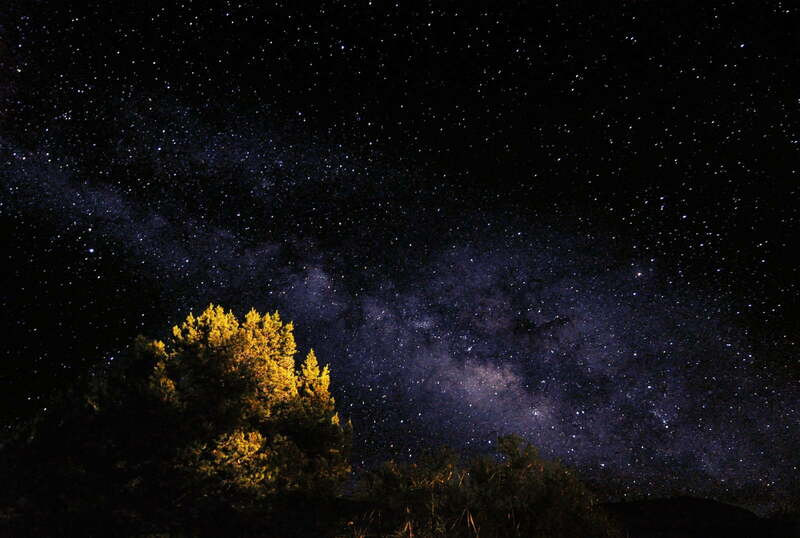 No visit to the Davis Mountains is complete without a star party at the McDonald Observatory. The observatory is about a half hour drive down the road and up some of the mountains. Make sure to make reservations on their website http://mcdonaldobservatory.org/ to attend a star party or to experience any of the fantastic programs they offer. We stayed for one of their educational programs which were hosted by a fantastic speaker and enjoyed viewing the stars through telescopes during their star party. Everyone that works here and volunteers to support the programs was enthusiastic about astronomy and getting everyone to see stars, planets, and galaxies. 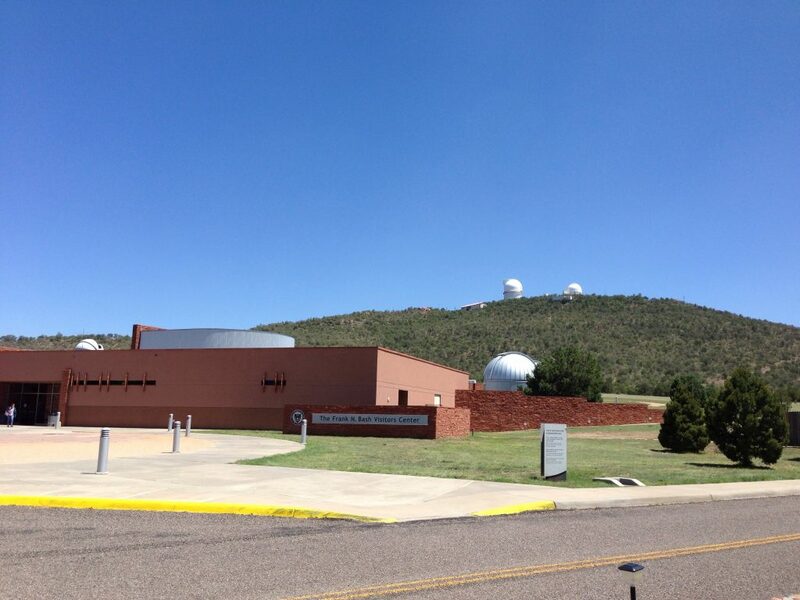 Visiting the McDonald Observatory was one of the highlights of my trip! Hiking Trails, Birding, Mining exhibit, botanical gardens and more. Dog-friendly too! A beautiful, wild and remote section of Davis Mounts preserved by the Nature Conservancy. The Nature Conservancy protects over 100,000 acres of the Davis Mountains desert! The desert expanse is far and wide but not utterly devoid of quaint little towns offering a little oasis of civilization. These towns are fun places to explore, shop, eat and even go to school! Marfa Texas is a unique town out in the middle of nowhere (it’s seen better days), but still manages to survive. Marfa felt like you kind of had to “know it, to understand it” so the infamy of the city was lost on our family. Nothing was open and all of the art centers were closed behind covered windows and vaguely labeled buildings. Would I recommend going out of your way to see it? Not myself, unless art and barren towns captivate you. I’d suggest heading to Alpine Texas for most family travelers looking for a small city to visit. Alpine Texas offers food, dining, fuel and a much larger town to explore. 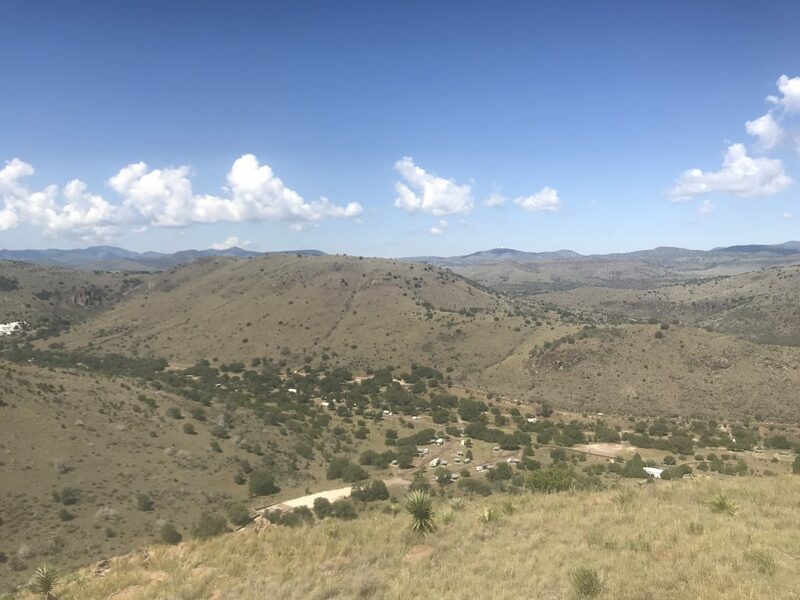 Built around a sizeable sprawling college campus of Sul Ross State University – Alpine has a lot more to offer than most other towns – especially if you need provisions, food, and supplies. 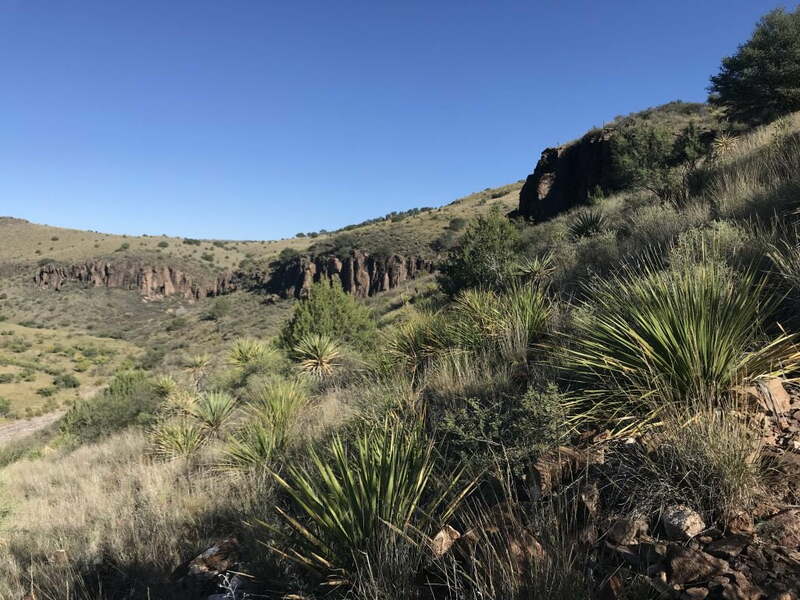 Visit the Fort Davis Outpost – An early Indian Wars frontier outpost built to protect the trans-Pecos segment of the San Antonio – El Passo Chihuahuan trail. Have you been to Davis Mountains State Park? 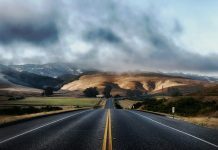 Have any feedback, advice or tips for fellow travelers? Comment below or post on our forums! Next articleRaxiom Jeep LED Halo Headlights – Light up your Night!